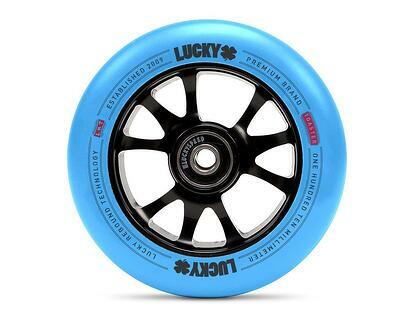 As the vast majority of our most devoted Lucky Scooters fans already know, we over here at Lucky Scooters proudly design and manufacture some of the absolute highest quality freestyle scooter wheels in the entire world. Although we have many competitors who would most likely say the same of their wheels, our wheels have been deigned and tested to perform in the utmost brutal conditions, and also provide one of the smoothest rides that a freestyle scooter enthusiast could ever experience. We have made sure, time and time again, to put our wheels through every single durability test imaginable, which has in turn, led to one of our most remarkable products. The Lucky Scooters line of freestyle scooter wheels can offer you just about anything that you could possible be looking for, including extreme durability, versatility, speed, smoothness, and an uncanny ability to grip the ground like no other freestyle scooter wheel ever had the ability to before. The process of initially creating our phenomenal line of freestyle scooter wheels started just a few short years ago, when we decided that the current influx of freestyle scooter wheels that were reaching the market simply weren’t acceptable for Lucky Scooters level of quality. With that being realized, we quickly got to work on what would eventually become the remarkable line of wheels that is available on the freestyle scooter market today, which includes the Lucky TEN, LUNAR, TOASTER, ATOM, and of course our line up of signature wheels, which includes the TFOX, Cody Flom, JonMarco Gaydos, Blake Bailor, and Bayley Maxcy signature wheels. 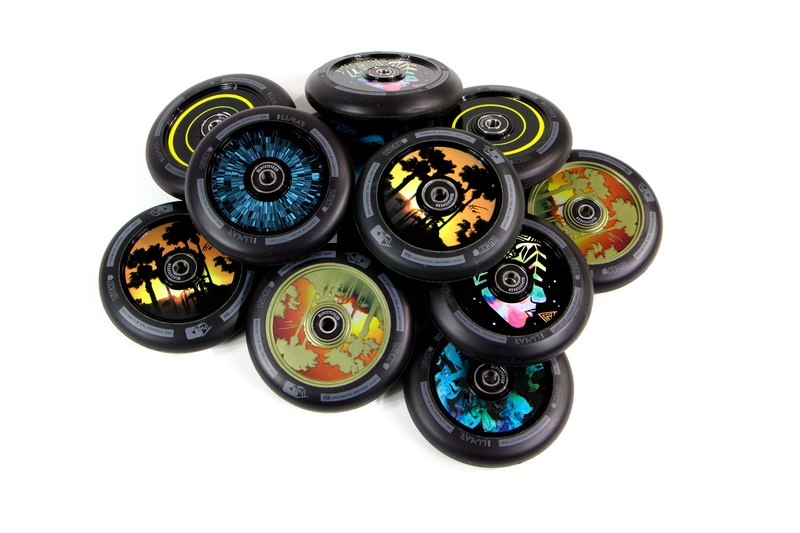 All of our freestyle scooter wheels have been specifically designed to withstand the every day wear and tear that naturally occurs when you are out and about shredding your scooter, so when it comes to making an executive decision about which Lucky Scooters wheel to invest in, there is really no bad decision that could be made. The only real differences between each of our excellent wheels come down to color option, interior core design, weight, and price. 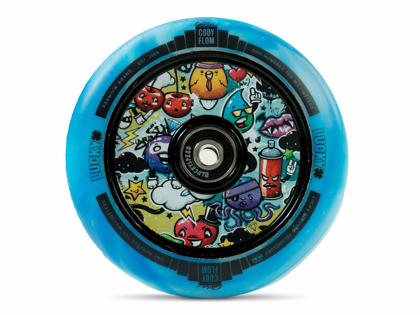 We use a very similar urethane compound in the manufacturing process of all of our wheels, which allows us to provide the same great high speed, smooth sailing feeling no matter what wheel you ultimately decide to ride. 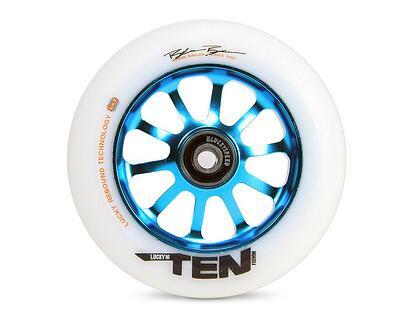 With all of that being said, if you aren’t completely sold on our line of Lucky Scooters wheels than simply just go snag a pair for yourself and formulate your own opinion. We assure you that it will be one particular investment that you will never forget. Don’t forget to stay tuned right here at the Lucky Scooters blog for more product information and updates similar to this article, as well as any and all other future Lucky Scooters related news, content, and more. Looking for wheels? Shop HERE! Shop the rest of our products HERE!